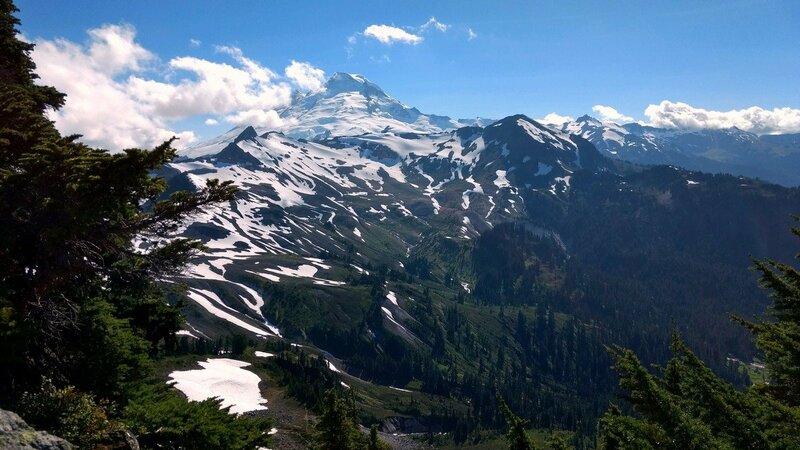 Mount Baker is an impressive 10,781 ft stratovolcano that can be seen for hundreds of miles away. 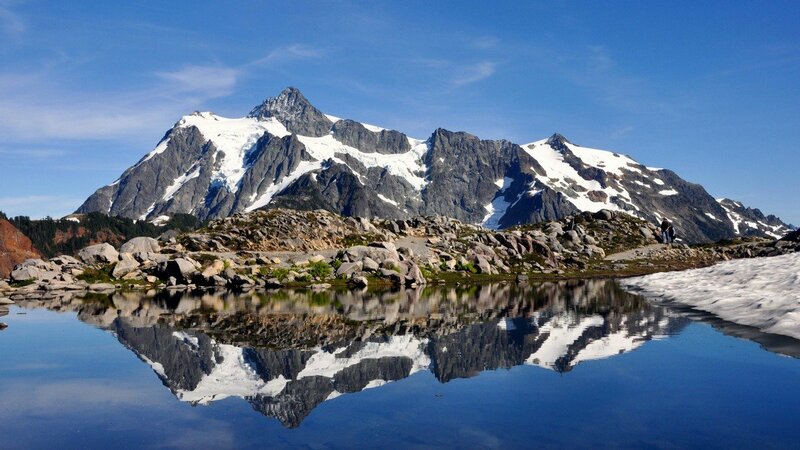 Its beauty is imposing but alluring and 100% of the reason to make a trip to the Mt Baker region of Washington state. 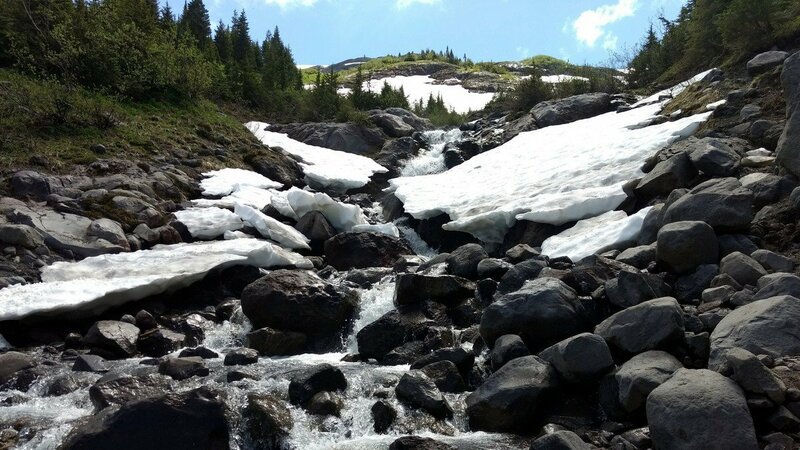 Famed for it’s ski area, this beautiful area melts down to an excellent summer adventure landscape. There isn’t a ton on development done in the area surrounding Mount Baker. 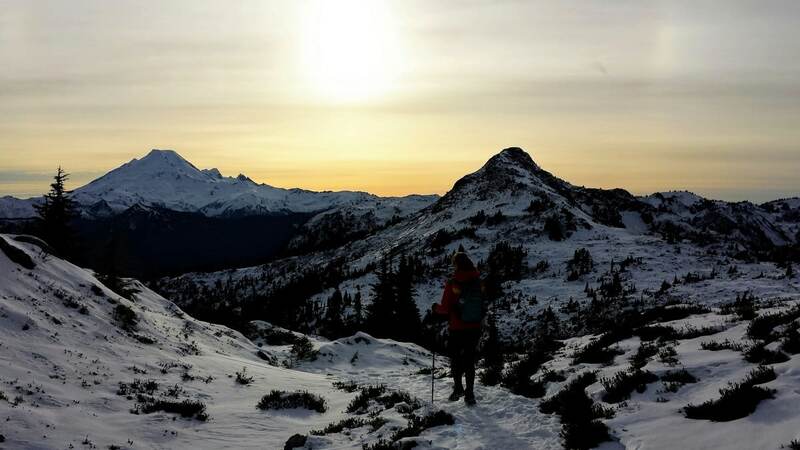 Besides Glacier and the Ski Area, most of Mount Baker is wilderness. 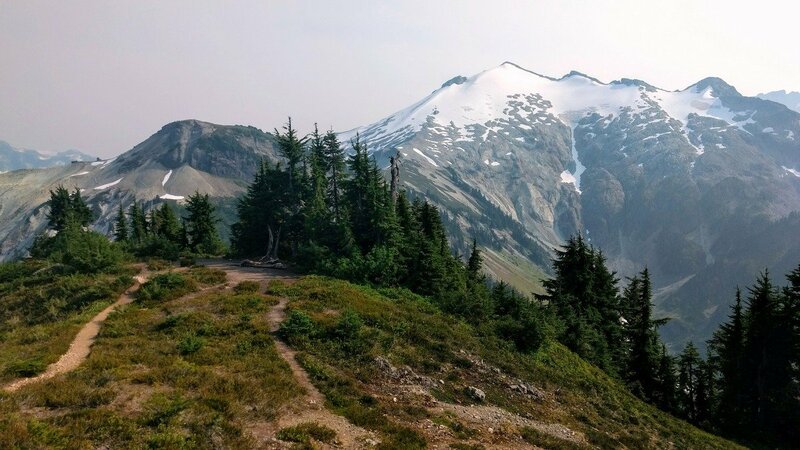 This lack of development may have something to do with the fact that Mount Baker is technically an active volcano; however, we love the remote feel of this park. 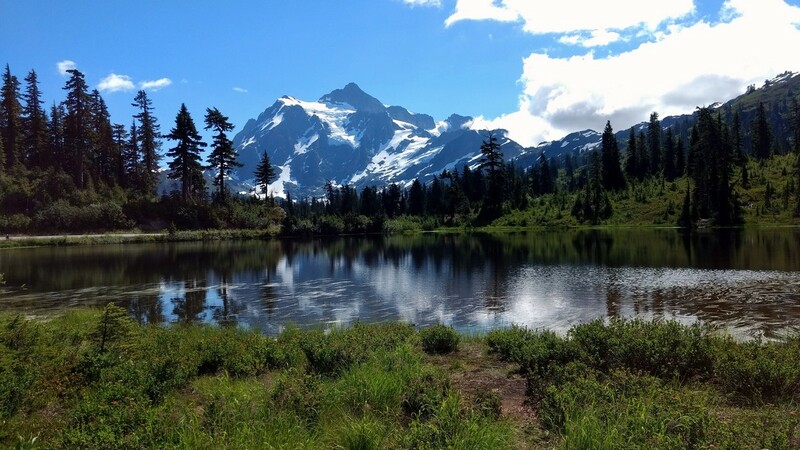 Your trip to Mount Baker will be one of respite and peacefulness. The lodgings we recommend are all quiet and small in nature. The restaurants are hardy and honest. We like to think everyone always has their head too far in the clouds, staring at that beautiful mountain, to be bothered by trivial, daily stresses. We hope you find this same peace on your trip: let us show you how. There aren’t a lot of MAJOR airports near Mount Baker. In fact, the closest airport isn’t even in the US. 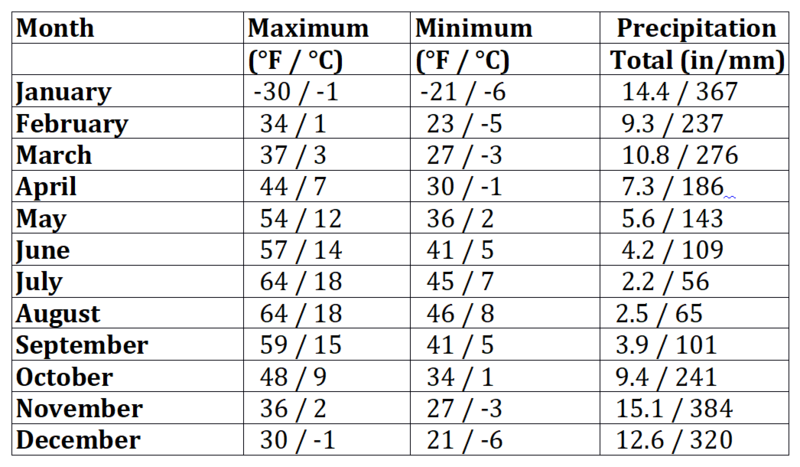 Abbotsford International Airport (YXX) is the closest airport at 29mi away, but Bellingham International Airport (BLI) is the second closest at 37mi. Now, neither of those airports are massive in scale, so if you’re looking to drive in from a larger airport your best bet is likely Vancouver International Airport (YVR) which is 81mi away, which is a roughly 2 – 2.5 hr drive. Of course, you will have to cross a border to get to Mount Baker, which can take a while in some cases, so Seattle-Tacoma International Airport (SEA) is about 127mi away, about 3 hours. These are your four best options and we’d recommend searching through them to see which one makes the most sense for your budget. Mount Baker is famous the world over for the winter snows. It’s a cult-mountain, with incredible powder! 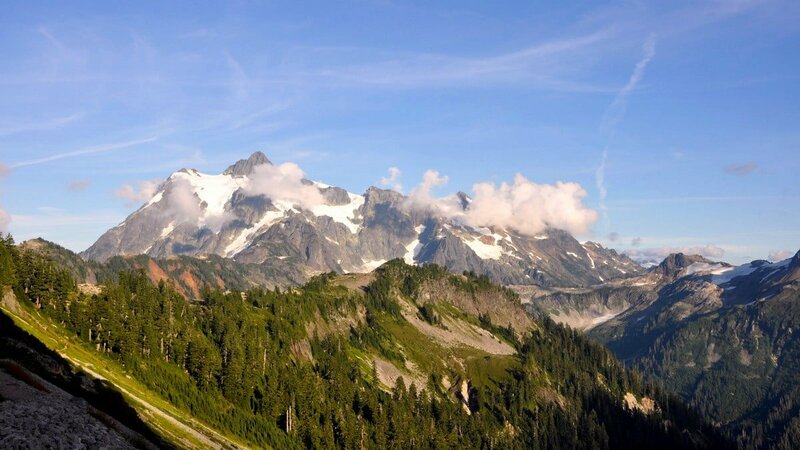 Summer is also an ideal time to go to Mount Baker. The crowds aren’t too bad, and the hiking is sublime. If you don’t mind layering well (which is always something we recommend! ), then also consider the start of June or just after Labour Day in September. The crowds will be less, and you have good chances of pleasant weather. In the winter there is a Shuttle that will take you to the Ski area of Mount Baker, but in the summer you’re out of luck. You really need your own car to explore this area. You’re going to appreciate the freedom it gives you. Mount Baker doesn’t have a stunning tourist town for guests. Many people camp or commute in from outside of the park. The exception is the small town of Glacier, which has some services. For a great B&B in Glacier, we recommend staying at the Winter Creek B&B. The food is exceptional, and the hosts are not only delightful and helpful, they also happen to be very fascinating conversationalists.  This is a great option and it is very close to Mount Baker. While some might call the style dated, we think it is mountain appropriate, and it certainly is in no way shabby or in need of repair. This is the top of the line when looking for Mount Baker accommodations. The closest accommodation to they majority of our hikes (those situated near the Mount Baker Ski Area) is the Blue T Lodge. They are known for being “the closest place to rest your head after you shred” or, in this case, after you hike (but that doesn’t have the same ring to it does it). There are six rooms and while the price is a little steep, you are paying for location. The rooms are spacious and clean and garnered zero complaints from us. For something a little more private we recommend going a bit farther west to Mt. Baker Lodging. They have a wide variety of Cabins available to rent, just make sure to check the location before you commit because not all of them are in the same place. We love this option though because it lets you cook meals and spend some quiet time with the family in between hikes. There aren’t a lot of big cities near Mt.Baker so you’re not missing a lot by being on your own. To start off your day of hiking on Mount Baker, we recommend going to the Wake ‘n Bakery. Don’t be fooled, this place was around long before legalization came to Washington. In fact, this charming business was formed after the owners started baking for Graham’s Restaurant (another spot on our list). The long and short is they do great baked goods, great lunches, and great coffee. This is the way to start each morning before you hit the trails. The aforementioned Graham’s Restaurant is about as no fuss as its name. They serve good bar food in an old building. Each item of décor seems placed out of care and not out of style. You get the feeling there’s a story behind everything. The food is filling and tasty, but you’ll remember the atmosphere: the authentic bar feeling that people always fail at recreating. The Chair 9 is the second on the list of good bar food at a fair price. Located in the Blue T Lodge, this place does good pizzas and beer. There’s really nothing to dislike about this place unless you’re trying to watch your weight! The last great restaurant near Mount Baker is Milano’s Pasta Fresca. This is a quintessential Mom-and-Pop-style, American-Italian restaurant, and while we know isn’t literally owned by the original Mom and Pop duo, the charm remains. The menu is good, filling, and consistent. The interior is minimal, but the portions aren’t. 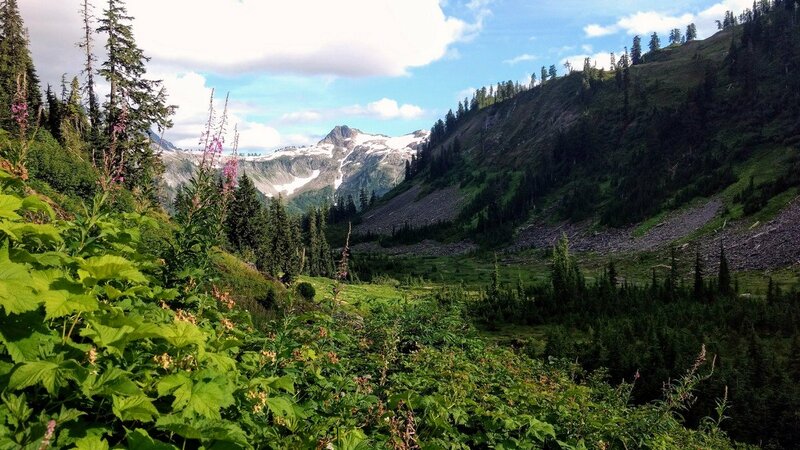 WHAT ELSE CAN YOU DO BESIDES HIKING IN Mount Baker? 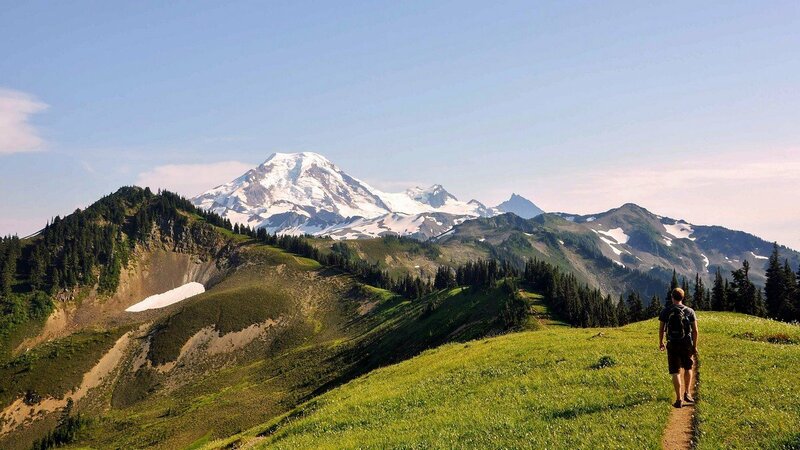 Mount Baker in the summer is an outdoor-activity junkie’s slice of heaven. You have no excuses to do anything but enjoy this rich, exciting landscape because otherwise you’d have nothing to do! For mountain bikers, the closest reputable rental shop is in Bellingham at Jack’s Bicycle Center. If that is where you’re flying in and out of then great! That makes life easy. There are plenty of trails to choose from. Maybe the rivers are your trails of choice? If so, you can head into Bellingham to Triad River Tours. They offer a lot of cool trips. Some trips are day trips and others are five-day excursions! They really stress safety and minimalism on their trips, something you’ll notice on their website. This is a highly respected guiding outfit. For something that maybe won’t get your blood pumping quite so much, check out the sweet 36-hole disc golf course near Glacier. The course didn’t seem 100% official (the holes were missing the traditional chain construction), but it is a great way to get outdoors. The avalanche risk is slightly higher than average given the variable weather conditions near Mount Baker. Always check with park rangers if you are concerned with a route. Some people forget that Mount Baker is actually an active volcano. Obviously, this brings its own package of dangers; however, you shouldn’t worry about a massive lava flow. The only worry is if a large amount of steam is seen from the top that could trigger a large mudslide. The last volcanic activity was seen from Mount Baker in 1975. An increase in steam and heat was noticed, but nothing transpired. The dangerous, hot mudslides caused by the volcano are called lahars. The last known lahar was in 1891. The mess travelled 6mi and covered 1 sq. mi. 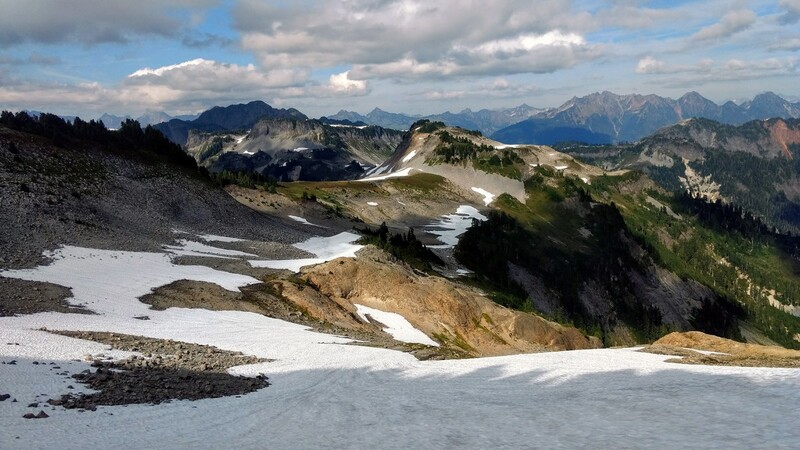 There are 50mi of trails on Mount Baker! There’s an adventure out there for everyone!